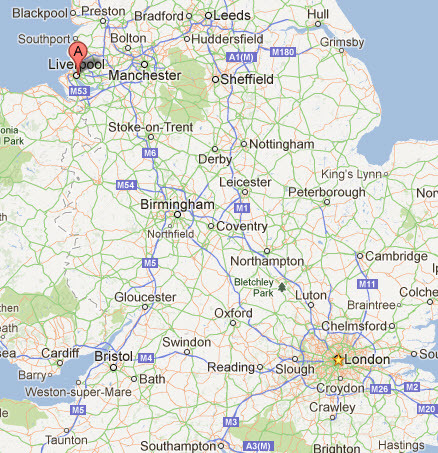 Historically, Liverpool was a part of Lancashire. The city’s urbanisation and expansion were largely brought about by the city’s status as a major port. By the 18th century, trade from the West Indies, Ireland and mainland Europe, coupled with close links with the Atlantic Slave Trade, furthered the economic expansion of Liverpool. By the early 19th century, 40% of the world’s trade passed through Liverpool’s docks, contributing to Liverpool’s rise as a major city. Liverpool is also well known for its inventions and innovations, particularly in terms of infrastructure, transportation and general construction. Railways, ferries and the skyscraper were all pioneered in the city. Inhabitants of Liverpool are referred to as Liverpudlians but are also colloquially known as “Scousers”, in reference to the local dish known as “scouse”, a form of stew. The word “Scouse” has also become synonymous with the Liverpool accent and dialect. 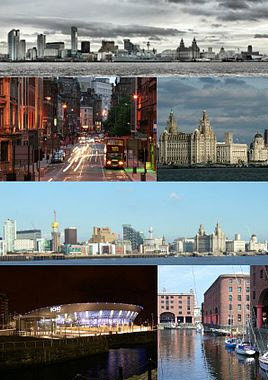 Liverpool’s status as a port city has contributed to its diverse population, which, historically, were drawn from a wide range of peoples, cultures, and religions, particularly those from Ireland. The city is also home to the oldest Black African community in the country and the oldest Chinese community in Europe.Labelled the World Capital City of Pop by Guinness World Records, artists of Liverpool origin have produced more number one singles than any other. 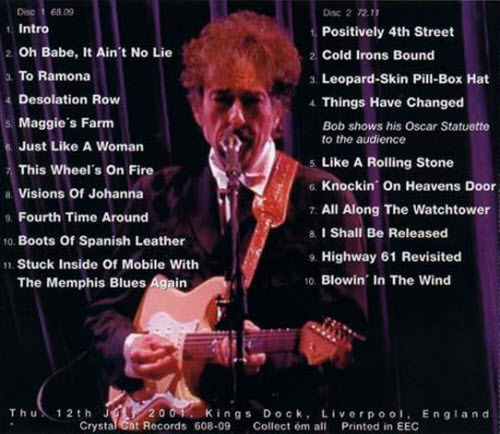 The popularity of The Beatles, Billy Fury,Gerry and the Pacemakers, and the other groups from the Merseybeat era, and later bands such as Echo & the Bunnymen and Frankie Goes to Hollywood, contributes to Liverpool’s status as a tourist destination; tourism forms a significant part of the city’s modern economy. The city celebrated its 800th anniversary in 2007, and it held the European Capital of Culture title together with Stavanger, Norway, in 2008. Liverpool is noted for its rich architectural heritage and is home to many buildings regarded as amongst the greatest examples of their respective styles in the world. Several areas of the city centre were granted World Heritage Site status by UNESCO in 2004. Referred to as the Liverpool Maritime Mercantile City, the site comprises six separate locations in the city including the Pier Head,Albert Dock and William Brown Street and includes many of the city’s most famous landmarks. 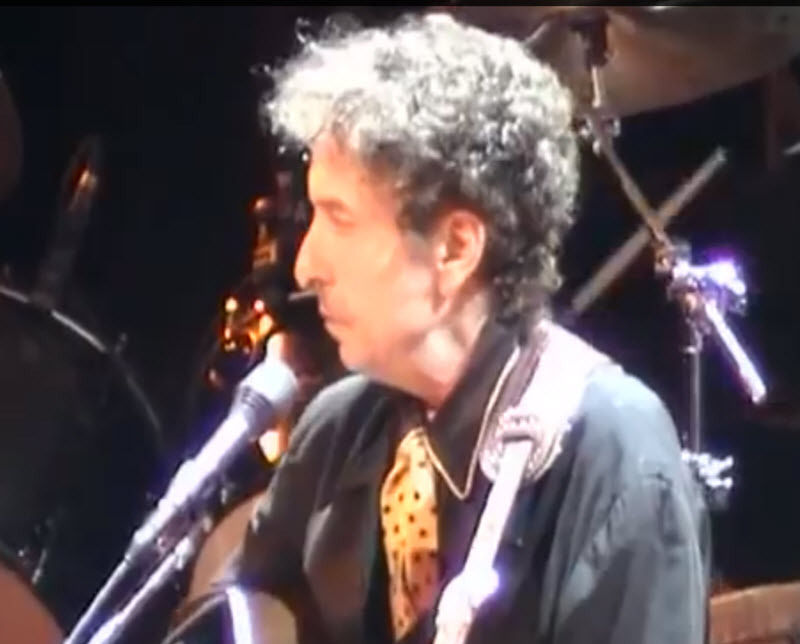 Previous PostJuly 11: Bob Dylan Hamilton, Canada 1988 (full concert video)Next PostJuly 13: Roger McGuinn plays 9 good Bob Dylan covers – Happy Birthday Mr. McGuinn!